I read this article and found it very interesting, thought it might be something for you. The article is called Medicine Buddha Teaching and Empowerment and is located at https://www.ripaladrang.org/event/medicine-buddha-teaching-and-empowerment/. With Dungsey Gyetrul Jigme Rinpoche. Illness, which is an integral part of our lives, is caused by an imbalance of our vital energies and the best remedy lies within ourselves: help re-establish harmony within those energies through meditating techniques that evoke our own healing resources. The practice of healing according to the Buddha of Medicine inspires us to work not only on an outer level, but deep within ourselves, thus balancing vital forces to bring inner harmony and outer health. Following the teachings are given on this topic last Autumn, Gyetrul Jigme Rinpoche will develop further on the theme and will confer Medicine Buddha’s initiation. The weekend is open to anyone wishing to learn more about meditative practices that enhance one’s own healing abilities. 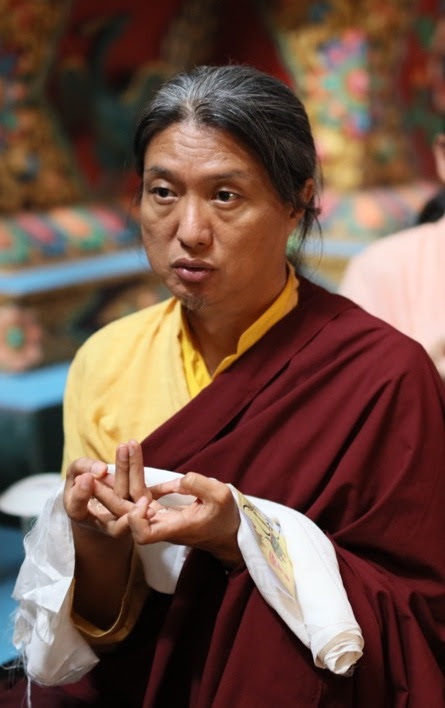 Gyetrul Jigme Rinpoche, is a master of Tibetan Buddhism, recognized in both Kagyu and Nyingma schools, he is the spiritual director of the Ripa International Center. He has taught for more than twenty years in Europe in a particularly lively, practical and contemporary way.